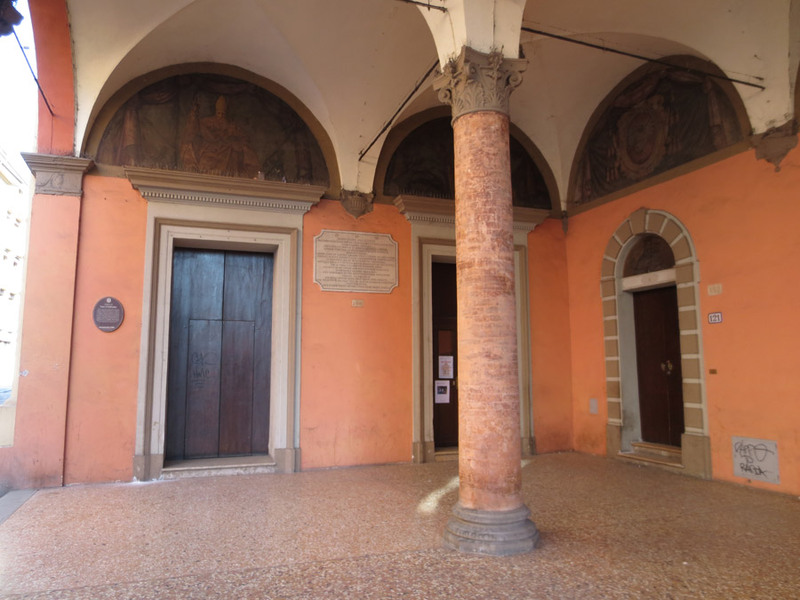 Here, in Bologna, just 300 meters from my home Francesco Griffo was living 500 years ago. He was one of the most important and influencing punchcutter and typeface designer in the Reinassance period and in the two following centuries. He worked for Aldus Manutius, designing that printer’s the Greek and the Roman types, including Bembo, and the first italic type. Just as Manutius had achieved a monopoly on italic printing and Greek publishing with the permission of the Venetian government, he had a falling-out with Griffo. Despite Griffo’s importance in the history of typography, the fame he deserved arrived only after his death. 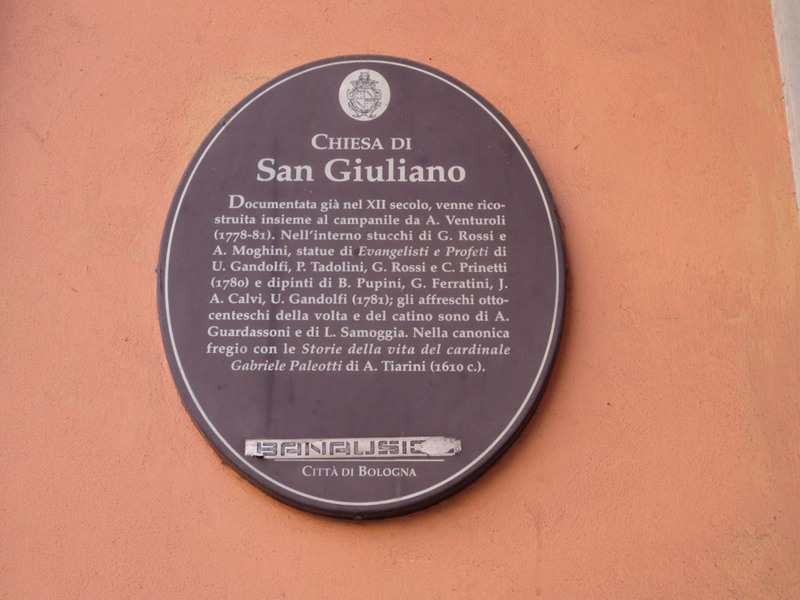 Though, you can’t find any mention of it here in his hometown, not even on the house he used to live in, which was and still is S. Giuliano Church. I imagine that if Griffo was an English, French or German, those countries would have already valorized his contribute to the world culture, and probably his house could have been by now a museum with a long que of visitors. I wish Bologna, where there are treasures like the oldest university in Europe, would give the right attention and value to such things. Images of the S. Giuliano Church, Bologna, Italy. Nothing inthe wall can testify that Francesco Griffo has lived here. (via Wiki) Griffo’s typefaces have been very influential. Typefaces based on his work include Monotype Poliphilus roman, Bembo Book roman, and Bembo Titling, Morris Fuller Benton‘s Cloister Old Style italic, Jack Yan‘s JY Aetna roman, Bitstream Aldine 401 roman, and Franko Luin‘s Griffo Classico roman and italic; more distant descendants include the romans of Claude Garamond, Giovanni Mardersteig‘s Dante, Robert Slimbach‘s Minion and Matthew Carter‘s Yale Typeface. D.B: Updike. Printing Types, Vol. 1 (from the Supplementary Notes added to the second edition), 1937. p. 280. “…a lighter and more condensed roman appeared, in Du Bois, Isogoge, printed in january 1532 (n.s.) by Robert Estienne: the lower-case of French book designers for two centuries to come, as far as general design goes, though modified in the course of time by imitation. The source of this distinctive roman design has already been identified beyond reasonable doubt (ad Aldus’ Hypnerotomachia Poliphilus), not only by the general form of the lower case but buy certain “earmarks” in the shape of the capitals. From the book: Francesco Griffo da Bologna: fragments & glimpses : a compendium of information & opinions about his life and work, Heavenly Monkey, 1999. Could you please give me the exact adress? Is there a model from his studio or from the building that he has lived in?